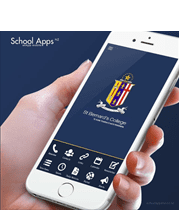 St Bernard’s College now has a School App. Go to the App store on your Apple or Android device and search SchoolAppsNZ to download the app to your phone or tablet. The app has a wealth of information and provides the College with an easy way to communicate with its community. SBC has launched Google Classroom as its online learning environment. Click on the above link to go directly to Google Classroom. Usernames and passwords are the same as the SBC Network credentials. TIP! If entering your username and password doesn’t work try adding stbernards/username in the username section. All students are now able to access a complete version of the latest Microsoft Office for free to use as long as they’re a student here at St Bernard’s College. Simply visit Office.com/GetOffice365 to download. All students are now able to access Clickview online 24/7. Simply visit online.clickview.co.nz and enter your Google address (username@sbc.school.nz) and password and you have access to our Clickview video library. St Bernard’s College uses Google Apps for Education (now known as G Suite). You will be able to use the Google Docs (free cloud storage with free office applications), Google Sites (make your own websites), Calendar, Aviary (graphics and music editor) etc.Login with: ” Username@sbc.school.nz” and your normal password. Please note that Gmail is not included as we utilise Microsoft Outlook/Exchange for email. For BYOD students who require printing facilities this can be done using Google Cloud Print. Login to your Google Apps for Education account as above and then go to www.google.com/cloudprint – you will be able to upload files there to print to the Library and Technology Photocopiers. Learn through pictures for FREE! In Pictures online tutorials are based on pictures, not words. They walk you through tasks step-by-step. There’s no complicated multimedia, just pictures that show exactly what to do. Sign up with an email address and password to access hundreds of FREE online courses. Ignore the adverts and gain skills in Touch Typing, Office Computing, Photoshop, Google SketchUp and more. Get tons of free learning resources for ICT, Computing and programming. Watch FREE online video tutorials to learn how to use software.